PHOTO BY MORGAN STUBBLEFIELD THE VARSITY VOLLEYBALL TEAM defeated Corona del Mar on Saturday, May 21, to become the CIF Division I Champions. The Cubs won the first two games, 25-18, and the last game, 15-11. 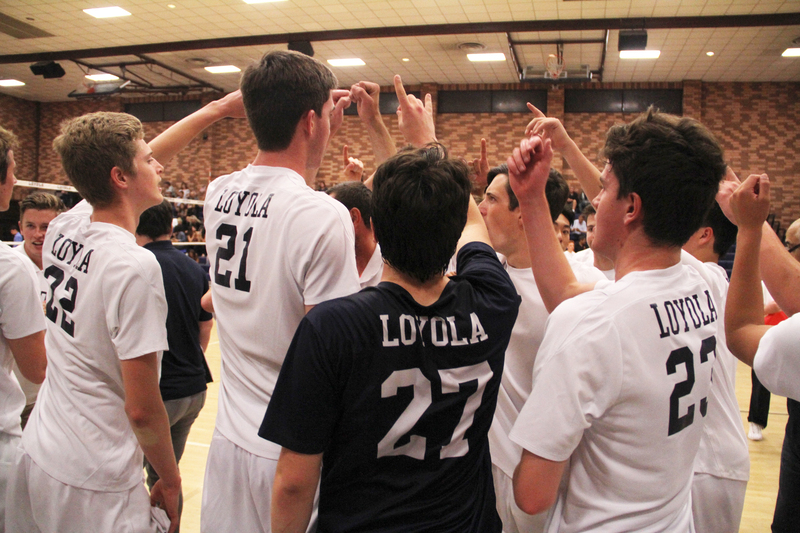 The varsity volleyball team, under the leadership of head coach Michael Boehle ‘84, beat Corona del Mar (CDM) in the CIF Southern Section Championship on May 21. The team’s 19-game winning streak ended with a loss to Mira Costa at home on May 26 in the SoCal Regionals, concluding the Cubs’ season with an overall record of 29-3. THE VARSITY VOLLEYBALL TEAM defeated Corona del Mar on Saturday, May 21, to become the CIF Division I Champions. The Cubs won the first two games, 25-18, and the last game, 15-11. After winning CIF, the Cubs moved on to compete in the SoCal Regionals, which combines the top eight teams from CIF competition to compete for a regional championship. 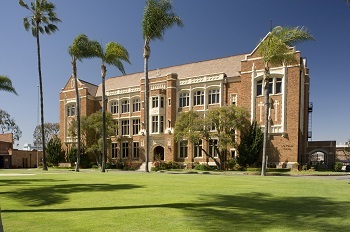 Being the top seed, the Cubs played the eighth seed El Camino Real on Tuesday, May 24, at Loyola. The Cubs defeated Camino Real in three straight games with scores of 25-15, 25-15 and 25-18. Moving on to the semi-finals, the Cubs played fifth seed Mira Costa on Thursday, May 26, at Loyola. In the two regular season games against Mira Costa, the Cubs won one game and lost one game. In their most recent meeting on May 26, the Cubs started off losing both of their first two sets with a score of 25-18 both games. Even though the Cubs were threatened by elimination in set three, they came back and won the next two sets with scores 25-20 and 25-23. The fifth set was close until Mira Costa scored three consecutive points giving them a commanding lead over the Cubs. The volleyball team’s season ended with a 15-11 loss in the final set. The Cubs finished the season being CIF Champs with an overall record of 29-3.